We were at a point in our migration to Office 365 where about half of our user accounts had been moved over to Office 365. Right at about that halfway point we started noticing that some users that were still on-prem were having trouble with the AutoDiscover process. When setting up Outlook the AutoDiscover process would simply fail. For one or two users the helpdesk would enter manual settings but as we moved more users we noticed the issue became more prevalent. I also noticed the same issue with my account while trying to rebuild my profile. My account was also still on-prem. From this it appears that my account is unable to be located. So to test further we created a brand new account/mailbox on-prem and ran through the same tests. Everything completed successfully with the new test account. At this point we can obviously rule out any backend Exchange issues, it seems to be account/mailbox related. So I went through both accounts in adsiedit. 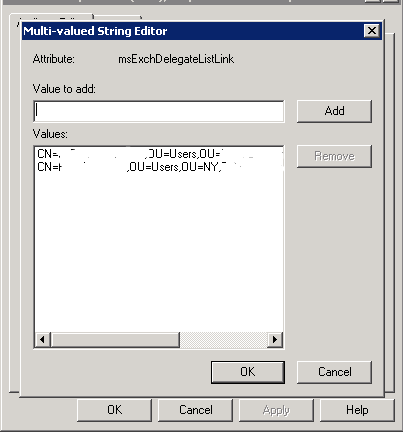 Nothing stood out until I got down to the msExchDelegateListLink attribute. In the new mailbox there were no delegates listed. On my mailbox there were 2 delegates listed. Neither user in the delegate list had a mailbox on-prem any longer. At this point I was trying to figure out if the AutoDiscover analyzer log that states “The Active Directory user wasn’t found” is related to my account or the fact that it can’t find a mailbox for the 2 listed delegates. I was unable to remove the users listed in the Properties -> Editor box. So for the 2 users listed, I had to go the their accounts in adsiedit and locate the msExchDelegateListLink attibute. When looking there I saw my account. I was able to remove it. Then I went to the 2nd account listed in the box above and also saw my account. I removed that one as well. 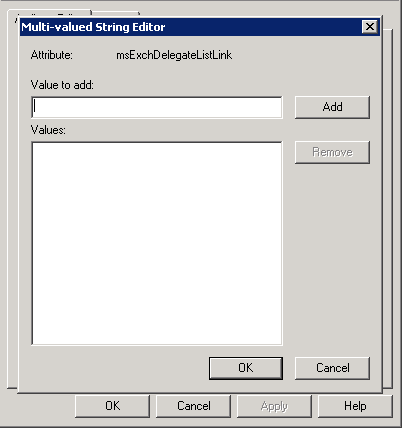 Then I checked the msExchDelegateListLink attribute back on my account, nothing was listed in delegates anymore. After verifying this I allowed about 15-20 minutes for the changes to replicate around AD. 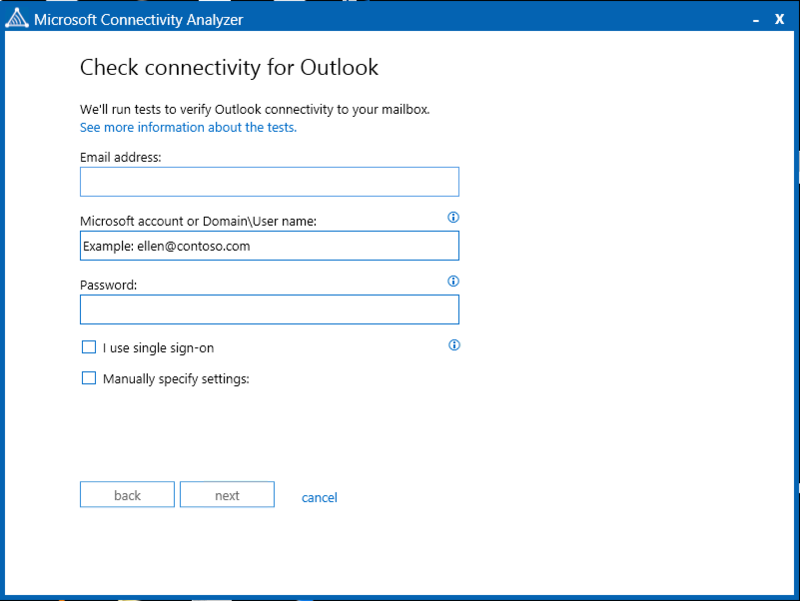 the I re-ran the Connectivity Analyzer utility on the account in question and the AutoDiscover checks came back successful. 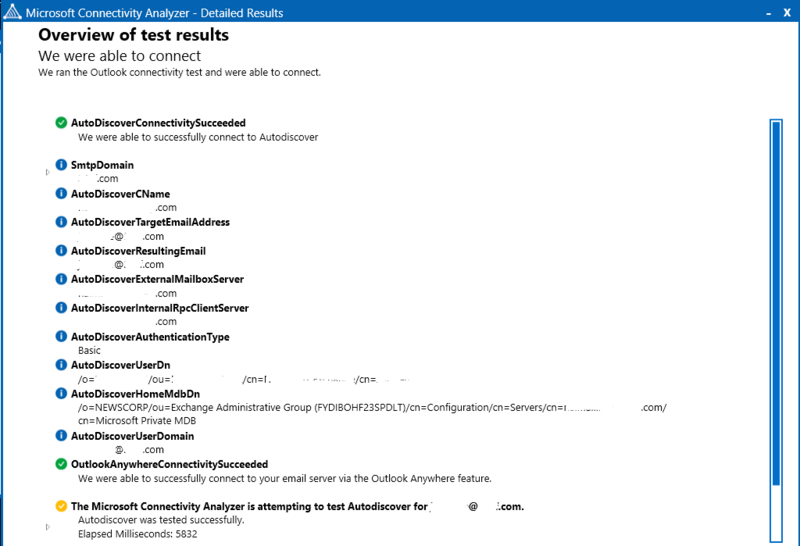 Upon further review the link between the delegates and the AutoDiscover issue relates to the AutoMapping feature in Outlook. 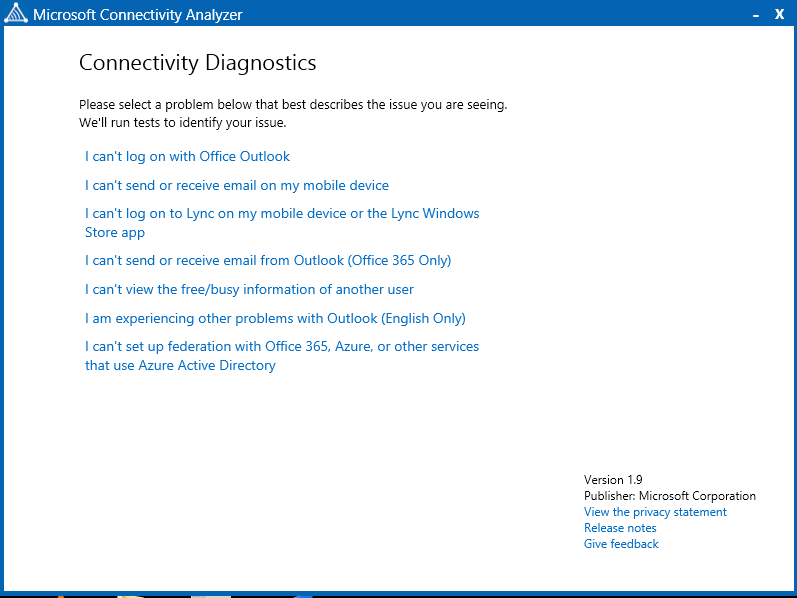 The delegates linked to my mailbox had mailboxes on O365 and therefore could not be found. So instead of just the lookup of those mailboxes failing, the entire process fails.